Amelia J. Hochman is a litigator with experience handling a broad range of complex commercial and securities matters. 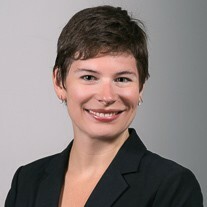 Amelia represents companies and individual clients in complex disputes in federal and state courts and before arbitral bodies, including in matters involving securities, commercial contracts, and business torts. She recently secured dismissal of a securities fraud complaint filed by two hedge funds against the former COO of a public renewable energy company. Amelia's past engagements include representing major financial institutions in residential mortgage backed securities-related fraud and breach of contract cases brought by investors and monoline insurers in New York state and federal court. She represented a consulting firm in connection with a criminal investigation conducted by the United States Attorney for the Southern District of New York and the New York County District Attorney's Office. Amelia also represented a non-profit entity in connection with congressional inquiries conducted by the Senate Committee on the Judiciary and the House Committee on Energy & Commerce. Prior to joining Olshan, Amelia was an associate in the litigation department at Orrick, Herrington & Sutcliffe LLP.